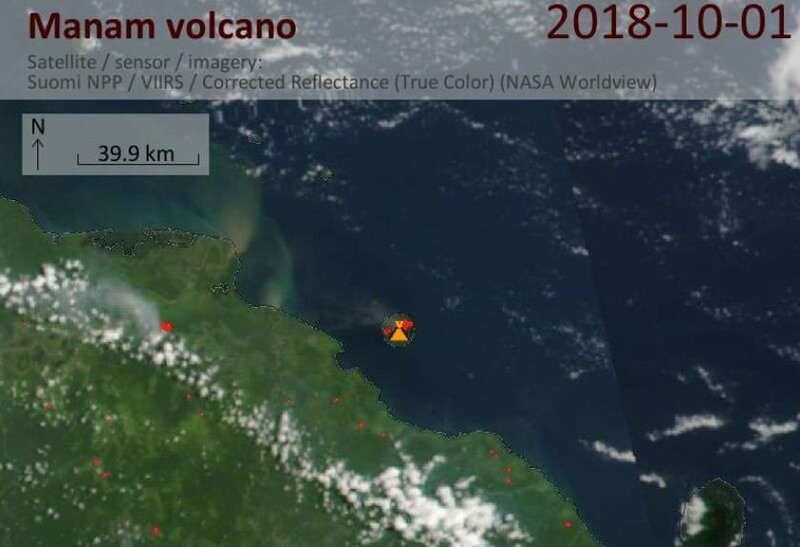 Satellite image of Manam volcano eruption of September 30, 2018. Plume of ash is clearly visible drifting from the volcanic peak. 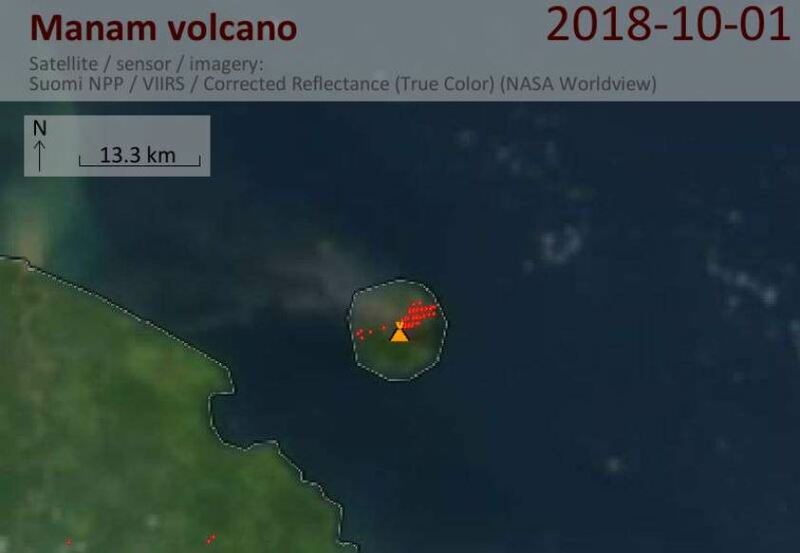 A zoom-in satellite image of Manam volcano eruption of September 30, 2018. There is a ongoing eruption at Piton de la Fournaise since September 15, 2018. Apart from a slight increase on September 30th early afternoon, the intensity of the volcanic tremor (indicator of eruptive intensity at the surface) has remained relatively stable over the last 24 hours. The surface flows, estimated from satellite data, was less than 2 m3/s over the last 24 hours. However, since most of the eruptive activity currently occurs in lava tunnels, detection of anomalous hot spots are increasingly difficult and therefore these flow values ​​are most probably underrated. Moreover, the cloudy weather hinders the acquisition of satellite data. Meanwhile, Karymsky volcano exploded sending an ash plume more than 3,000 meters asl., before dispersing over 116km in the ESE direction. Moderate eruptive activity continues, and ash explosions can still occur and affect low-level flights. The explosive activity of the Fuego volcano increased during the evening of September 29, 2018, with 10 to 15 hourly explosions ejecting ash plumes at 4,400 – 4,700 meters asl. 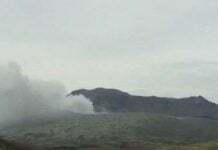 Tremors and degassing blasts sounding like aircraft turbine sounds were reported on the southwestern flank of the volcanic peak. Ash falls are reported on San Pedro Yepocapa, Finca Palo Verde, Morelia, and Panimache. 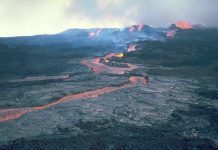 A possibility of lava flows and of a new eruption is possible in the next hours. Meanwhile, the strombolian activity continues at Pacaya volcano, with occasional explosions 50 meters above the crater and lava flows – between 300 and 700 meters – towards Cerro Chino. Take care, be ready and get prepared! 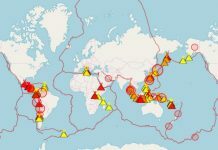 The next catastrophic event could hit right were you live. I am glad you are OK. I am a little bit worry about you. Still Darkside has some power for evil agenda. But I know you are protected by Lightside. At the beginning of the video above, you can see some unique landslide in Indonesia. All the houses and even antenna tower have been floating over the landslid. Where antenna tower or antenna facility including antenna array is where there is Reptilian Secret Underground Base. But there are so many disasters hit Indonesia recently. Do they have so much karma accumulated in Indonesia? Reptilians living around me in North Alabama are still alive and well. A black helicopter is circling around me. There are lots of military activities around me. But I do not see very much change around those Reptilians. They are still so active. This is not really about karma. Rather becauce there are somethings above indonesia and other places at different times.planets perhaps. reaching our ones and we mixing dimensions. or getting synchronized. these bastards still chemtrailing the sky and horizon. what is that, what You can’t see in the sky? University is a part of Illuminati Reptilian Organization in any country. It is natural that fire or smoke coming out of the campus’ underground when Reptilian Secret Underground Base is attacked by Galactic Federation of Light.